Home > Are the proceeds of a life insurance policy taxable? 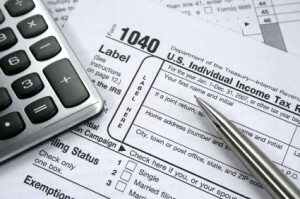 If you are the beneficiary of a life insurance policy, the most important question you may have is, “Will I be taxed on the proceeds of the life insurance?” This question is significant if you are the beneficiary of a large life insurance policy, as the rates of inheritance tax are generally much higher than those of regular income. It is certainly in the beneficiary’s best interest to avoid inheritance tax if at all possible. The answer to this question depends on several factors. In general, life insurance proceeds are not taxed when they are paid as a lump sum to a beneficiary. However, there are several important exceptions to this rule which must be noted. The first important factor in determining the taxability of the insurance policy is the question of ownership. The owner of a life insurance policy is the person who took out the policy, makes the premium payments, and chooses the options such as beneficiaries and amounts paid to each. If the owner of the policy is the person who died, then the rules are different from a situation in which someone else owns the policy. If the owner and the deceased person are one and the same, then the lump sum of the proceeds becomes part of the decedent’s estate. In that case, the total benefit paid is counted toward the total value of the estate, and if the estate’s value exceeds a certain amount, inheritance taxes may apply. Once inheritance taxes are applied, they may affect other assets which might have been excluded prior to the inclusion of the policy benefits, so it is important to determine if the policy will push the estate over the exemption limit. While this may seem straightforward, it can be very confusing, because the limits for estate taxes have changed several times in the last few years. For the years 2001 through 2009, estate tax exclusions (the amount which is not subject to inheritance tax) climbed from $675,000 to $3.5 million. Anything over these amounts is taxed at the applicable federal rate (currently 35%). In 2010, estate tax was repealed, but was reinstated in 2011 with a cap of $5 million. The future of inheritance taxes is unclear, with proponents for both increases and decreases in limits currently debating the issue. Further, inheritance tax rates have fluctuated between the current 35% and as much as 55%, making this a crucial planning issue for those with assets to distribute after death. While the federal law has changed significantly, states have their own rules, and it is entirely possible for a life insurance policy to be taxed by the state but not by the federal government. Some states “piggyback” on the federal legislation, marrying their rules and rates to the current federal standards, while others have entirely independent rules. In order to determine your state’s laws, it is necessary to consult a tax attorney or accountant familiar with your state’s tax code. Further confusion can arise when assets are held in more than one state, causing different laws to govern the distribution of each. If the owner of the policy is someone other than the decedent, the policy benefits do not pass through the estate, are not considered income, and are not taxed by the federal government. However, the owner of the policy must have been someone other than the decedent for at least three years prior to death of the insured in order to avoid the tax. This is obviously the ideal situation for the beneficiaries, so it is important to plan ahead to insure that life insurance policies are structured to best serve the needs of the intended recipients. Another common scenario in which insurance proceeds may incur taxes is when an annuity is paid as the result of a policy, rather than a distribution of the policy as a lump sum benefit. Any amounts over the face value of the policy are taxable as income, so interest accrued as the result of an annuity is taxable under federal law. The exclusion of payments to beneficiaries from federal tax applies to other types of insurance payouts, as well, such as workers’ compensation payments, employer plans, and other types of death benefits. However, each state has laws about how these payments are handled, and this law may be different from the laws governing the federal tax code. When you purchase a life insurance policy, your company may offer financial planning as part of the services it provides. If so, it is often wise to talk to the insurance company about options for avoiding inheritance taxes with the purchase of your policy.